Products + Services — Houston Stair Company, Inc.
We offer a wide range of services from design to installation. We also offer products such as single stair parts to stair packages. Please contact us for an estimate or any questions you may have as a homeowner, builder, architect or designer. Call us at (281) 990-3700 or message us here! IN-PERSON CONSULTATIONS ARE BY APPOINTMENT ONLY. Whether you're looking for an intricate yet modern design or a seamless, minimalistic approach, we can help you with one of our #1 requested projects: glass. Sleek, modern and one of our most popular; stainless steel cable railing is a great addition to almost any stair looking for an upgrade. 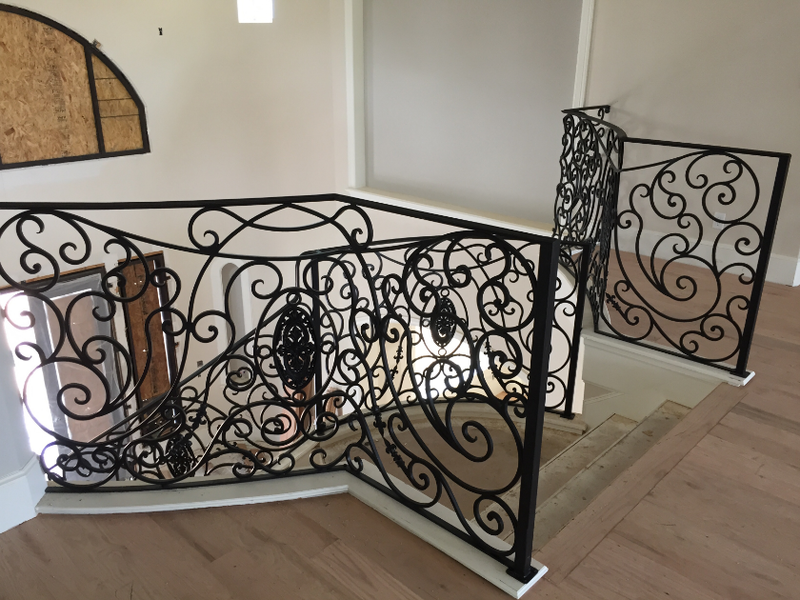 A beautiful design of stainless steel or iron railing that adds an incredible focal point to the home that can say "industrial," "artistic" or simply, "modern minimalist." A classic style that has ruled throughout the history of stair design everywhere. If you're looking to stay close to home and in your comfort zone, but still want an incredible design, iron is right here waiting for you.